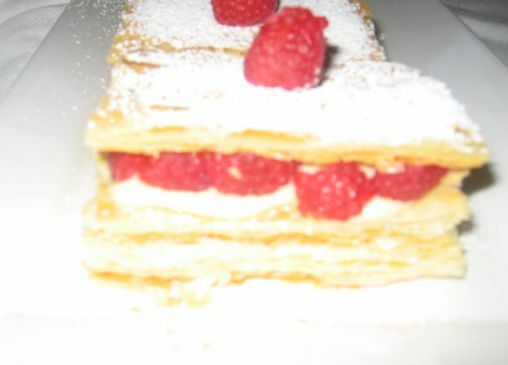 The Mille-Feuille (thousand sheets), is made of several layers of puff pastry alternating with a sweet filling such as pastry cream, or sometimes whipped cream. 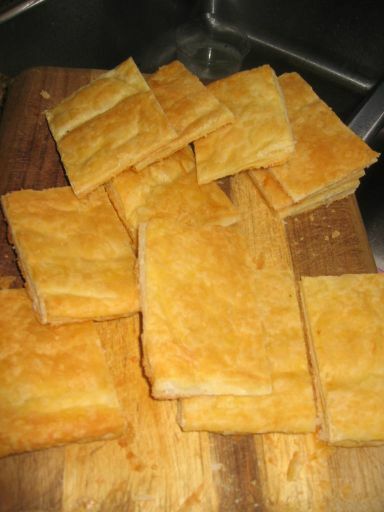 It is usually glazed with icing or fondant in alternating white and brown (chocolate) strips. 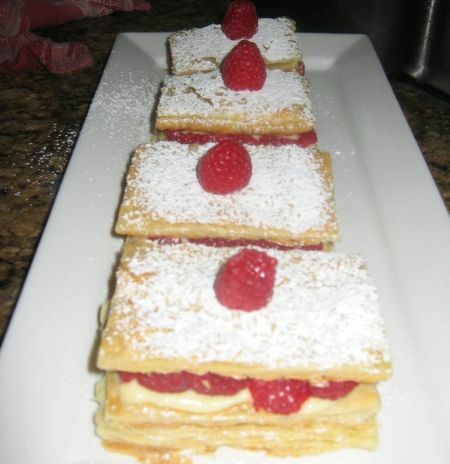 I decided to decorate my Mille-Feuille very simply with only powdered sugar and topped it with a Raspberry. 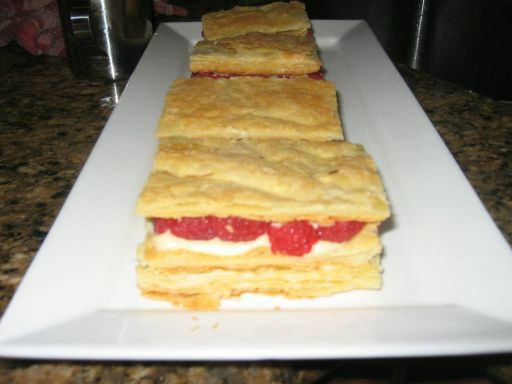 I also decided to add a little twist by adding fresh raspberries with the pastry cream. 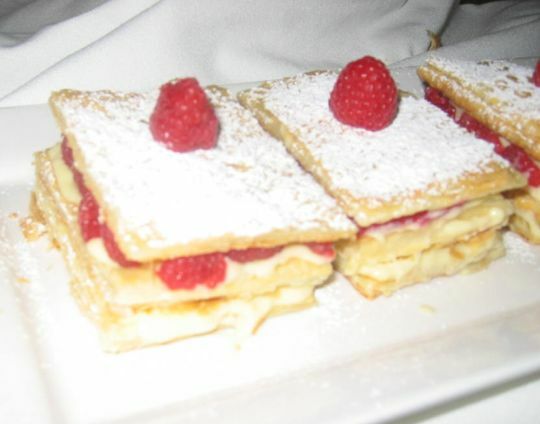 Here the Mille-Feuille looks really yummy. 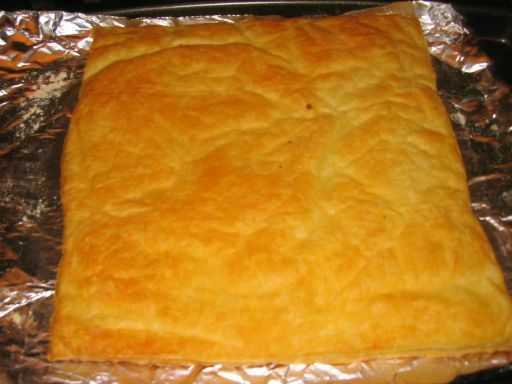 The puff pastry is then cut into smaller square. 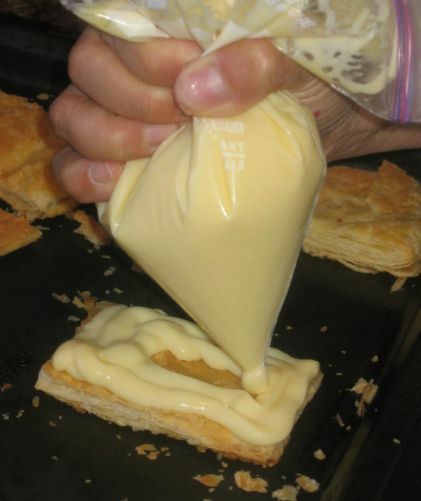 Here I am piping the pastry cream onto to puff pastry. 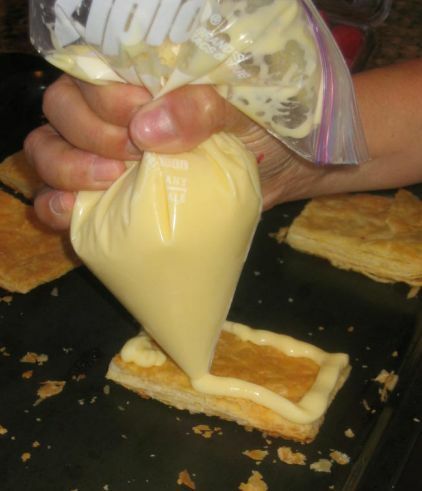 I am done with stacking all the layers together! 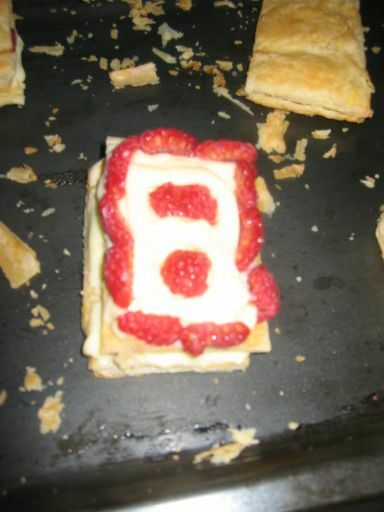 all I need to do now is to decorate the top of the Mille-Feuille.